Offering free internet access to the guests, Shikher Guest House is located at a distance of 2 km from Kalimpong Bus Station and 4 km from Delo View Point.This guest house in Kalimpong comprises of 10 well-maintained rooms. In-room amenities offered are wake-up calls, balcony, mirror, wardrobe, television and attached bathroom with 24-hour hot/cold water facilityThis Kalimpong guest house features a multi-cuisine restaurant and a garden area within the premises. Additional facilities such as kitchen, travel counter, 24-hour front desk and power backup are available. Services such as laundry, medical assistance and room service (limited hours) are also offered. This hotel also organizes outdoor activities such as paragliding, river rafting and mountain biking for the guests.Travel hubs near to Shikher Guest House are Sivok Railway Station (48 km) and Pakyong Airport (54 km). Places worth visiting are Science City (10 km) and Delo Park (8 km). Stay at Shikhar Guest House was the high point of our trip. Hospitality of Mr. and Mrs. Theeraj Gurung was more than any tourist can possibly hope for. Cleanliness,food, courtesy, everything is excellent. Thanks to a wonderful couple for a lovely stay. We came to know about Shiker Guest House from Trip Advisor and booked 2 months ahead of our travel date as it was during the Durga Puja Festival. Check-in time is 12 o'clock, but we reached the resort around 10:30 and requested Mr Gurung for early check-in , which he allowed us within half an hour. Here starts the hospitality, it is run by Vanessa and Thiraj Gurung, we met Vanessa the moment we stepped down from our cars. With a warm smile she approached us,whatever problems you have she is always there to help you. It is a beautiful small guest house , a little out of the town , may be 7min by car from the guest house to the town. There are 11 rooms , the deluxe double rooms are with balcony with view of the Kanchanjunga Ranges. There is a tea coffee maker in the deluxe room which is not there in standard rooms , but on our request Vanessa immediately provided us with a coffee maker. If you are visiting with 2 families try to book room no 24&25 , as it is a separate unit with a well designed sitting area with a tv. All the rooms are very well designed and very very clean and spotless As we were 2 families , Thiraj provided us with these 2 rooms where there is a small terrace also. The guest house has a lovely, well maintained garden with guava trees , it was so nice of Vanissa to let us pluck a few guavas . They also have a swing in the garden which you can use. Breakfast was complimentary , neither buffet nor ala carte but a set breakfast Breakfast comprises of orange juice , banana or apple cut beautifully , 2 pancakes with her homemade honey , bread ,butter, jam sort of roasted potatos , and eggs made to order. Tea / coffee is chargeable. She even provided us with pineapples as we requested for it . It is a bit uphill from the town , taxis charge you Rs 150 from town to the guest house.Vanessa also arranged our sightseeing , as she has a Bolero with a driver , and the rates are reasonable than the town ,the car and the driver will be with you, so you can have your lunch, do the sightseeing, marketing which is a added advantage and come back to the guest house. Shiker guest house has a restaurant where you can have your lunch and dinner. Vanessa recommended us Sakura Resturent in town , which served us lovely chinese food at a reasonable rate,Thanks Vaneesa for your lovely hospitality and all the help provided by you , keep smiling, waiting to met you again. 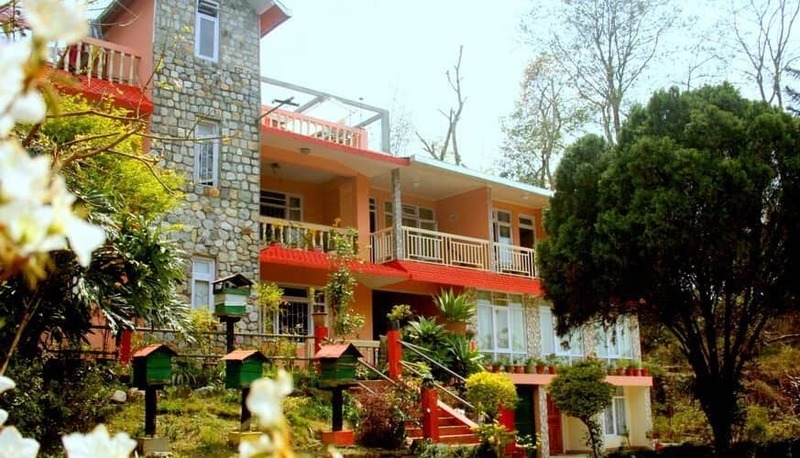 This Place/Guesthouse is the ultimate destination in Kalimpong without any hesitation. We have traveled so many places in India and accordingly at the same time we stayed different Hotels, Guest House and Resort, but this is above all. The reason being the location, natural beauty, Food and the most unbelievable behavior of the owner Venesaa, manager Bhushan and cook Sarala who provide marvelous homely food for us of very reasonable price even their cab driver Bikash was mind blowing persons. When we checked out on 18.10.2018 we felt that we are leaving our own home. Thanks Venesaa for your service and if we go to Kalimpong in future, we will definitely stay in your guest house. The room was large enough and had a lovely balcony overlooking the mountains and the garden. We couldn't see the mountains because of the clouds but I could've spent hours sitting in the balcony. We loved the momos for dinner. Vanessa and her team made sure we enjoyed our stay and did every thing they could to ensure guests are comfortable. Vanessa introduced our 8 year old to the other kids staying in the lodge. It might be bit difficult to find the place initially but ask any local. They will be able to guide to the guest house or at least to the locality. We arrived around 10pm. Hotel staffs made all the arrangements ( food, warm water) after reaching hotel. Location is great. You can go for morning walk around the hotel. Breakfast was very cheap. Only problem we faced was creaking sound of bed. Overall 5/5. Inform about Railway Station Pickup or Pickup from Airport. Walk to the rooftop of the house where you can see whole town and Kangchenjunga peak. No elevators, but all rooms have excellent views. More in the style of a resort.